Representatives from Boeing Corporation were in Auburn recently to present a check to support Madison County Afterschool programs. 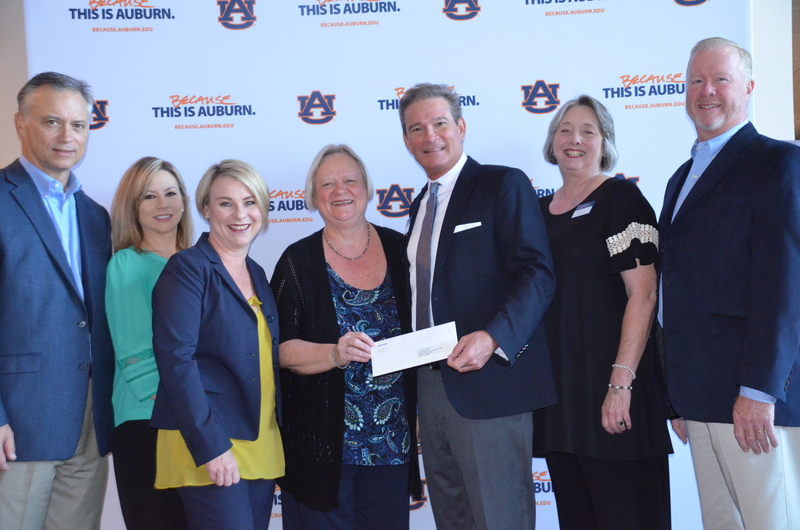 On hand were College of Education Dean Betty Lou Whitford, Paul Morin, who directs the program, and Lynne Patrick, director of Auburn’s Truman Pierce Institute. Afterschool programs at New Hope Elementary, Middle and High schools in Madison County will be receiving a boost in tools and training to provide students with new Science, Technology, Engineering and Math (STEM) learning experiences. 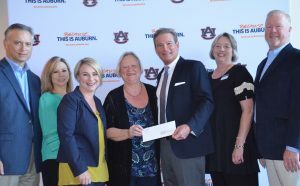 The resources are being provided through the Alabama Afterschool Community Network (ALACN), an initiative of Auburn University’s College of Education and its Truman Pierce Institute (TPI), and partially funded by a grant from the Boeing Company. “Boeing is proud to support initiatives that provide students with greater access to hands-on, problem-based activities. Experiential learning is key to sparking curiosity and inspiring students while helping them develop the 21st century skills that will help them succeed,” said Boeing Community Investor Tina Watts. Morin noted that although Alabama’s graduation rate rose to 89 percent last year, only 27 percent of those graduating seniors showed interest in pursuing STEM-related careers. The Afterschool program teaches these STEM skills in innovative ways. New Hope’s Middle School Afterschool students placed 9th in the state in archery two years ago. Last year, its high school Afterschool students placed first. Their science teacher used archery to teach them about velocity and trajectory. In addition to this grant, Auburn University maintains a presence in north Alabama, where its Huntsville Research Center is located. Auburn and several north Alabama industries, including Boeing, have leveraged each other’s capabilities, and the Research Center has facilitated collaborations between area industries and Auburn’s researchers. College of Education Dean Betty Lou Whitford attended the presentation ceremony in Auburn and noted the positive aspects of Afterschool programs such as the one in New Hope supported by Boeing.